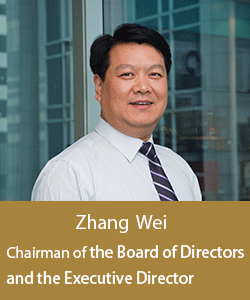 Since the founding of Weiye Group in 1999, the company has been adhering to the corporate philosophy of "keeping good virtue inherits tradition,cotinuous innovation; and fulfilling the glorious mission of "Develop dream home,promote happy lifestyle", holding the business philosophy of "integrity, pragmatic, professional and innovation". With the opportunity of rapid rise of the Central Plains Economic Zone and the development of Hainan International Tourism Island, the company has completed the strategic expansion from Henan to Hainan and become a group company specializing in the real estate and property service development. In the future, Weiye will continue to develop more high-quality properties and actively implement Weiye four strategies "strengthen the market share in Henan,maintain market share in Hainan, developing market in first-tier city and optimizing capital market", continuously innovate new products and improve the quality of products; to build a healthy and environmentally friendly living atmosphere as torealize people's dream to live in harmony, maximize enterprise value and create win-win situation for organization and employees. All the above unremitting effortsis in order to realize Weiye’s dream "becoming the influential listed company in China". Based on the past prosperous fruits, create bright future.Looking back, Weiye has established solid foundation and made stable development to build a lot of city landmarks; Moving forward, Weiye will continue construct habitable housings one after another with firm target and full of confidence. Weiye will accompany you walking along the comfortableliving journey.